Hardcover, 10 x 11.25 in. / 268 pgs / 225 color / 63 bw. The Albright-Knox Art Gallery in Buffalo is one of the oldest art museums in U.S., and its collection is one of the most prestigious American collections of modern and contemporary art. This full-color catalog accompanies the first international tour ever organized by the gallery and features seventy paintings and sculptures that are icons of the twentieth century by more than sixty artists, including Salvador Dalí, Edgar Degas, Paul Gauguin, Vincent van Gogh, Frida Kahlo, and many others. Rich in illustrations, the volume emphasizes the remarkable vitality, salience, and subversiveness of the twentieth century’s best art. 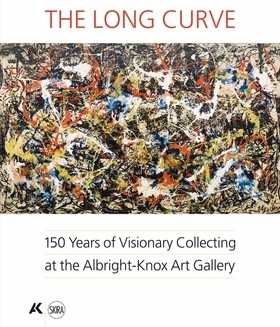 Insightful essays by leading scholars are illustrated with archival imagery and superb works from other areas of the Albright-Knox collection. A rich bibliography and an illustrated timeline complete the volume. Douglas Dreishpoon is chief curator of the Albright-Knox Art Gallery, Buffalo. Holly E. Hughes is associate curator of the Albright-Knox Art Gallery. FORMAT: Hbk, 10 x 11.25 in. / 268 pgs / 225 color / 63 b&w.